Video Surveillance solutions are security tools that help reduce crime and protect people and property. These solutions deter revenue loss from stolen merchandise, destruction of valuable information and vandalism. Engineered Controls offers integrated and customized advanced Video Surveillance solutions to protect what matters most to our customers. We design, install, maintain and upgrade a wide range of Video Surveillance solutions to meet customers’ specific needs and budgets, from large commercial enterprises to home security platforms, from simple camera systems for small offices and businesses to complex multi-campus facilities. Engineered Controls has the experience and knowledge to assist you with the complexities of selecting a video surveillance solution best for your application and budget. We partner with reliable manufacturers to provide you with the highest quality equipment. Engineered Controls is passionately committed to helping our customers achieve their safety and security goals with our Video Surveillance solutions. Engineered Controls’ security management systems can be used to control and manage your HVAC units, lighting, energy, access control and intrusion detection solutions as well. To learn more about how our Video Surveillance solutions can improve your business, contact your local Engineered Controls office today. Honeywell Integrated Security – Engineered Controls is a Certified Dealer of Honeywell Integrated Security (HIS) Pro-Watch product. 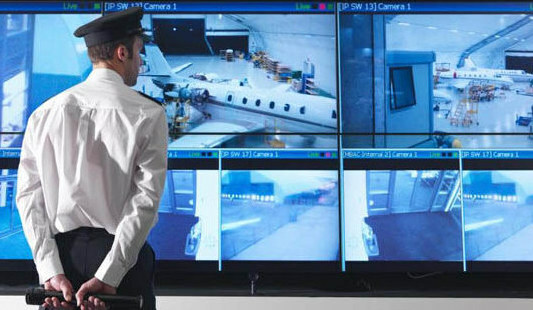 Honeywell integrates the latest in digital video surveillance with traditional analog components, enabling users to better control operational costs and maximize their existing technology investments. 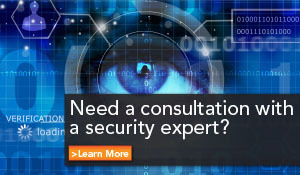 Their Pro-Watch suite provides the flexibility, scalability and control required for comprehensive security management. Product certification encompasses the Pro-Watch product suite, MAXPRO NVRs, MAXPRO Video Management Systems and LobbyWorks. Axis Communications – Axis offers intelligent security solutions that enable a smarter, safer world. As the global market leader in network video, Axis is driving the industry by continually launching innovative network products based on an open platform – delivering high value to customers through a global partner network. Axis was the first company in the world to launch a network camera in 1996, initiating the shift from analog to digital technology. Arecont Vision – Arecont manufactures HDTV surveillance IP cameras and software. Leveraging its proprietary MegaVideo® technology, the company offers the world’s fastest multi-megapixel (8MP, 5MP, 3MP, 2MP and 1.3MP) network cameras supporting full-motion video frame rates. Arecont’s new line of H.264 high definition cameras provides security professionals with the flexibility of various frame rates and resolutions for a variety of applications. Hikvision – Hikvision Digital Technology Co., Ltd. is the world’s largest supplier of video surveillance products and solutions. Hikvision brings decades of experience to the world of video surveillance technology. By offering a complete end-to-end solution, Hikvisioin provides a seamless integration of system components, resulting in an exceptional user experience. From Video capture to video processing and storage, to video management, Hikvision designs and manufactures a full line of innovative products. Speco Technologies – For over fifty years, Speco Technologies has dedicated its self to providing the latest innovations in video surveillance products and electronic accessories for residential and commercial use. Speco Technologies is committed to providing affordable, dependable security equipment, delivering exceptional customer service and offering extensive product training, technical and marketing support. Speco’s product line offerings include HS DVRs, NVRs, analog and IP cameras all engineered and designed specifically to be a cost effective solution for those who are migrating to IP from traditional analog surveillance systems. 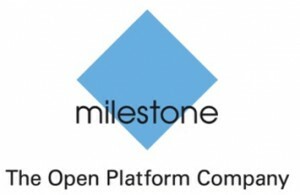 Milestone Systems – Founded in 1998, Milestone Systems is a world-leading provider of open platform IP video management software (VMS) with headquarters in Copenhagen, Denmark. Our objective is to improve our clients’ organizational processes and increase overall security through the management and distribution of digital video data. Milestone XProtect® Video Management System is powerful, reliable, easy to use and proven in more than 100,000 installations worldwide. Based on a true open platform, XProtect VMS enables integration with the industry’s widest choice in cameras and best-in-class business solutions, such as access control and video analytics. Engineered Controls did an outstanding job for us at our Elementary School. They worked hard to meet our needs, kept us informed throughout the project, trained our personnel, and have continued to support us as needed. Outstanding.